Tomorrow is June the 4th, UK Independence Day. 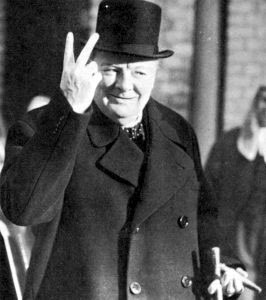 If you encounter any canvassers for the LibLabCon, the Greens, Libertas, Jury Team, the English Democrats, the BNP or any of the other eurofederalist and/or racist parties, adopt the Churchill victory pose as seen on the thousands of UKIP billboards and posters up and down the country, rotate your raised hand 180 degrees and optionally utter the first string of Anglo Saxon words that spring to mind. I was looking forward to voting for the UKIP in todays elections but after hearing a UKIP member on TV the other night saying he claimed £200,000 in expenses I dont think I will bother. It's not expenses, it's the allowance every MEP has from the EU to pay for offices and staff. Every MEP, regardless of which party they represent, has the same allowance. Nigel Farage just happened to be the only MEP asked how much his allowance is (by a Liebour MP) and all the other MEPs have kept silent despite them all getting the same allowance. Whoever you vote for, they will get the same £200k annual allowance. Please 'The Grip', don't let yourself be manipulated by the LibLabcon and their running dogs in the media. They purposely ask Farage this question knowing it's a meaningless question. I suspect you saw him on BBC newsnight. The fact is, Farage GETS NO EXPENSES. He, along with EVERY OTHER MEP, gets an annual allowance. Unlike the other MEPs who have silently spent theirs on personal items, Farage spent his on educating the British public on the EU and ACTUALLY GAVE A LOT OF IT TO CHARITY. I only found out these things by researching as the MEDIA ARE ALL LIARS. They all depend on EU funding so they don't want anyone who is against the EU to do well. 1st they called UKIP racist, then that argument was demolished as they have black & Asian candidates, then they bring up this lies about expenses. Whoever you vote for would get the same allowances but would use them for their moats, houses, children's school fees or whatever. I hope I've convinced you to vote UKIP today.